From the outset Zionist leaders were aware that the local population of Palestine would oppose the Zionist enterprise. They directed their efforts to gaining the support of the world powers of the time for the Zionist project. 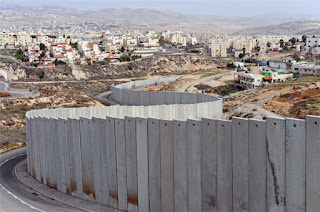 The most famous outcome of these efforts was the Balfour Declaration, wherein the British government expressed its support for the establishment of a national home for the Jews in Palestine, on the condition that the local population would not suffer. OR (On condition that the rights of the local population would be safeguarded). 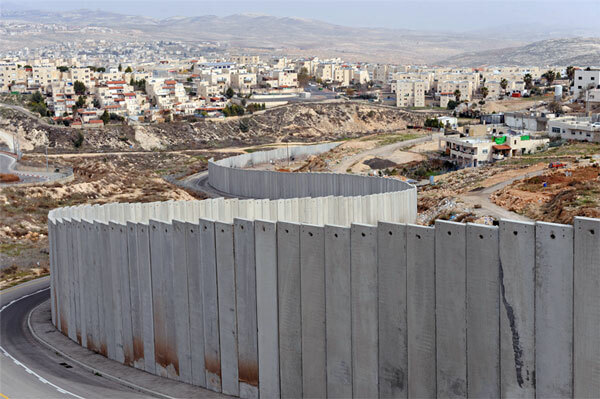 Even after the establishment of the State of Israel, its leaders understood that Israel would not be able to exist in a region that was hostile to its existence without the support of the world powers. They say that in politics "there are no free meals" and so Israel served and serves the interests of those powers which in return provide their support. In the 1950's Israel succeeded in constraining the Egyptian army to its borders, thereby reducing Egyptian intervention in the Algerian War of Independence. In return a special relationship developed between Israel and France. After France withdrew from Algeria her interests in the Middle East changed. France's priority became the improvement of her relations with the Arab states, and to this end she had to cool her relationship with Israel. France imposed an arms embargo on Israel several days before the outbreak of the 1967 war, an action which severed the special relationship between the two countries. I consider this same war as marking the commencement of the special relationship between the United States and Israel. In the context of the cold war, the Middle East was divided between the two great powers: Israel, Jordan, Saudi Arabia and the Gulf States were pro-American while Egypt and Syria were pro-Soviet. In the 1960's Egypt sent an army in support of one of the sides in the civil war then raging in Yemen. The Americans regarded the approach of a pro-Soviet army to the borders of Saudi Arabia and her oil wells as a threat. The intensified military clashes between Israel and Syria on the questions of water and the border, led to Syria's call for help. In response Egypt moved part of her army from Yemen to the Sinai, a move which critically affected the escalation that led to the 1967 war. From America's point of view, Israel had succeeded in distancing a pro-Soviet army from the Saudi borders. In 1970 war broke out between Jordan's army and the P.L.O.’s armed forces in Jordan. Syria was about to invade Jordan with the P.L.O. 's support. Israel concentrated forces along the Jordanian border and prevented the Syrian invasion, thus defending a pro-American regime against the invasion of a pro-Soviet army. When US President Carter declared that the United States would not sell arms to regimes that violated human rights, there was concern that the dictators of these states would turn to the Soviets for support. By selling arms to these same states, Israel prevented their defection to the Soviet bloc. These are three examples whereby serving American interests in the region, has led to the development of the exceptionally close relationship between Israel and the United States. In the early 1970's, Egypt began a process of a change in orientation, from Soviet to American. In secret talks with Kissinger, they requested that part of the deal would include American pressure on Israel to return the occupied Sinai. Prime Minister Golda Meir and Defense Minister Moshe Dayan refused the Egyptian offer of peace. The other government ministers were not aware of this offer, nor were the Israeli intelligence networks. Kissinger agreed to refrain from applying pressure on Israel, in return for a commitment that in the event that war break out, Israel would not be the first to initiate such a war. 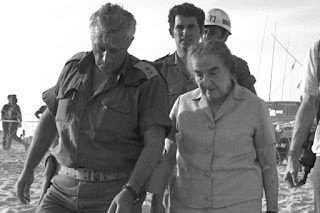 Golda and Dayan stood by their promise to Kissinger and did not allow the I.D.F to make a pre-emptive strike on the Egyptian and Syrian airfields, and also limited call-up of the forces before the Egyptian-Syrian attack on Israel in October 1973. Only after the airlift of weapons from the US, did Israel succeed in reversing the course of the war in her favor. The failure of the Yom Kippur War was the result of the refusal of the Labor government, under Golda Meir's leadership, to accept an offer of peace. They preferred to retain the occupied territories over peace, thus endangering Israel's existence. Only after an unnecessary war with thousands of casualties, and under pressure by President Carter, did the right-wing government accept Sadat's offer of peace.